“Madonna dell Granduca” – A painting by Raphael (1483-1520). With Labor Day upon us, the “unofficial” end of summer and the beginning of the truly beautiful season of autumn, Holy Mother Church, in her liturgical calender, presents us with two consecutive months dedicated to Our Lady: September – the Month of Our Lady of Sorrows, and October – the Month of the Most Holy Rosary. Moreover, within these two months are numerous magnificent feasts of our Lord, our Lady, and many very popular, patron saints to keep in mind. 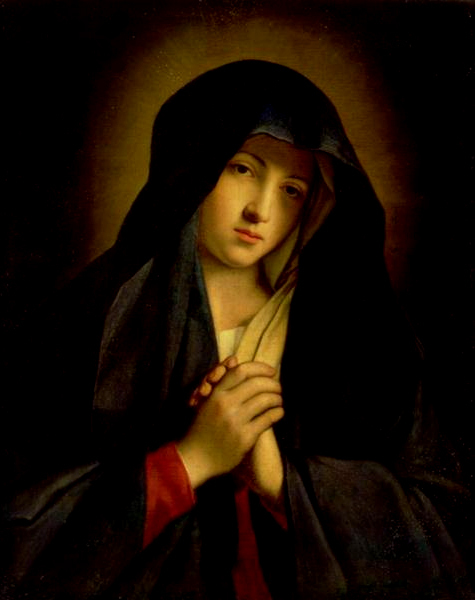 For instance, in September we celebrate the Nativity of the Blessed Virgin Mary on the 8th, the Most Holy Name of Mary on the 12th, the Exaltation of the Holy Cross on the 14th, Our Lady of Sorrows on the 15th, St. Robert Bellarmine (Doctor of the Church) on the 17th, St. Joseph of Cupertino on the 18th, St. Matthew on the 21st, Padre Pio on the 23rd, St. Vincent de Paul on the 27th, and the Holy Archangels Michael, Gabriel and Raphael on the 29th. Additionally, in October, we begin the month with a number of significant feasts and commemorations: The Little Flower – St. Therese of Lisieux on the 1st, the Holy Guardian Angels on the 2nd, the great St. Francis of Assisi on the 4th, and the great St. Faustina Kowalska (Secretary of Divine Mercy) on the 5th. This brings us to the great feast to which this series of articles is devoted; namely, the feast of Our Lady of the Most Holy Rosary, formerly, Our Lady of Victory, celebrated on October 7th. 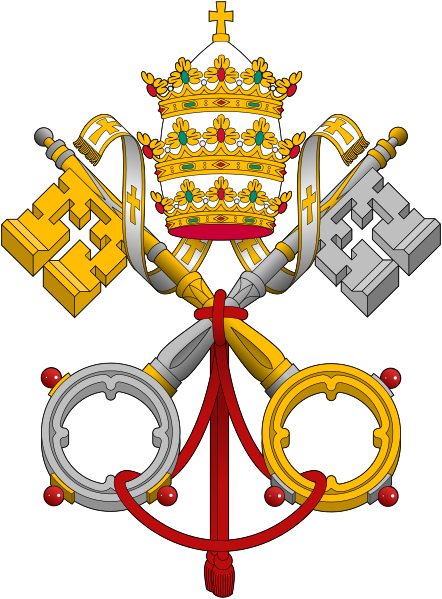 Wikipedia, the very reputable online encyclopedia, quite possibly among the largest of information databases in the world, provides a very succinct history of the evolution of this particular feast: “In 1571 Pope Pius V instituted “Our Lady of Victory” as an annual feast to commemorate the victory in the Battle of Lepanto. The victory was attributed to the Blessed Virgin Mary, as a rosary procession had been offered on that day in St. Peter’s Square in Rome for the success of the mission of the Holy League to hold back Muslim forces from overrunning Western Europe. In 1573, Pope Gregory XIII changed the title of this feast-day to “Feast of the Holy Rosary”. This feast was extended by Pope Clement XI to the whole of the Latin Rite, inserting it into the Roman Catholic calendar of saints in 1716, and assigning it to the first Sunday in October. Pope Pius X changed the date to 7 October in 1913, as part of his effort to restore celebration of the liturgy of the Sundays” (cf. http://en.wikipedia.org/wiki/Our_Lady_of_the_Rosary). Thus, the entire month of October in general, and the liturgical celebration which takes place on the 7th of the month in particular, have both been designated, by the Church, as times for greater reflection upon and promotion of the Most Holy Rosary of Our Lady. Given the profoundly Marian nature of both the month of October and the feast of the Holy Rosary, one cannot help but to recall our former and dearly beloved shepherd, Blessed Pope John Paul II, and his special affection for this marvelous and most sanctifying devotion. In his Apostolic Letter, ROSARIUM VIRGINIS MARIAE, he states the following: “I myself have often encouraged the frequent recitation of the Rosary. From my youthful years this prayer has held an important place in my spiritual life…. The Rosary has accompanied me in moments of joy and in moments of difficulty. To it I have entrusted any number of concerns; in it I have always found comfort. Twenty-four years ago, on 29 October 1978, scarcely two weeks after my election to the See of Peter, I frankly admitted: ‘The Rosary is my favourite prayer. A marvellous prayer! Marvellous in its simplicity and its depth. […]. 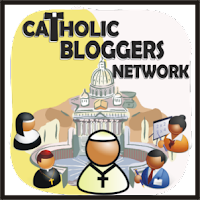 It can be said that the Rosary is, in some sense, a prayer-commentary on the final chapter of the Vatican II Constitution Lumen Gentium, a chapter which discusses the wondrous presence of the Mother of God in the mystery of Christ and the Church. Against the background of the words Ave Maria the principal events of the life of Jesus Christ pass before the eyes of the soul. They take shape in the complete series of the joyful, sorrowful and glorious mysteries, and they put us in living communion with Jesus through – we might say – the heart of his Mother. At the same time our heart can embrace in the decades of the Rosary all the events that make up the lives of individuals, families, nations, the Church, and all mankind. Our personal concerns and those of our neighbour, especially those who are closest to us, who are dearest to us. Thus the simple prayer of the Rosary marks the rhythm of human life’” (Rosarium Virginis Mariae, 2). What can possibly be said after such a marvelous reflection by one of the most magnificent of persons ever to have walked the earth, except to underscore that each of these “mysteries” are just that – mysteries of the Sacred Deposit of Faith that, in themselves, are truly inexhaustible. We may know that they are, but we shall never, in this lifetime, know what they are, in the fullness of their essence. This reality was driven home to me recently when the Lord granted me a new and marvelous insight into the radical interconnectedness of and profound internal consistency amongst each of the Joyful Mysteries of Our Lady’s Holy Rosary. As anyone who regularly prays the Rosary knows, the Joyful Mysteries are comprised of five distinct mysteries: (1) The Annunciation; (2) The Visitation; (3) The Nativity; (4) The Presentation of the Child Jesus in the Temple; (5) The Finding of Jesus in the Temple. Up until the little “epiphany” I experienced some weeks ago, I had traditionally considered each of these mysteries as discrete units, relatively independent of each other. Suddenly, out of the clear blue, the Spirit granted me a deeper insight into the radical interconnectedness of and internal consistency amongst each of these mysteries by shining the light of His Truth on a recurring theme that, up until that point, I had never before detected: In each of the Joyful Mysteries, the Lord grants “private revelations” that would eventually become essential components of the “Public Revelation” that comprises the Sacred Deposit of Faith, specifically regarding the revelation of the united salvific missions, identities and natures of Jesus, the Redeemer, and His Mother Mary, the Co-redemptrix. First, in the mystery of the Annunciation, Our Lady receives a private revelation from the Eternal Father through His messenger, the Archangel Gabriel, who reveals to Mary her own exalted status and mission, for she is greeted as “Full of grace,” and this in order to “conceive and bear a son,…Jesus,…[who]…will be great and will be called Son of the Most High” (Lk 1:28-32). Further, the mission of her virginal offspring is additionally revealed to her: “The Lord God will give him the throne of his ancestor David; he will rule over the House of Jacob forever and his reign will have no end” (Lk 1:33). Thus, in this mystery, the Lord reveals to Mary, through the message of an angel, multiple realities concerning the salvific mission of her virginal child and the multiple unique roles that Mary, herself, would assume as a consequence of her assent, or fiat, to the will of the Father. 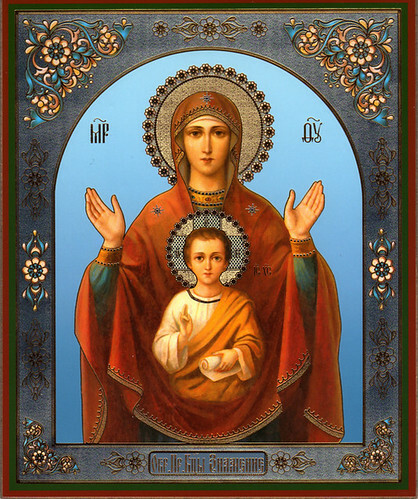 For, Mary not only becomes the Theotokos, but additionally becomes the Co-Redemptrix, for, in giving birth to Christ, the Head of the Mystical Body, she also necessarily gives birth to the Body which cannot be separated from that Head, which is the Church. Thus, Mary’s Spiritual Motherhood of all of humanity, expressed in her three-fold function as Co-Redemptrix, Mediatrix of all Grace and Advocate for the People of God, are all roles that are implicitly being revealed to her. Further, Gabriel reveals to Mary her own Perpetual Virginity, as he states, “The Holy Spirit will come upon you…and the power of the Most High will overshadow you” (Lk 1:35), in response to her question regarding the “how” of this virginal conception. Thus, almost all of the fundamental Marian dogmas and doctrines are revealed to Mary in this encounter with the Archangel Gabriel; (1) Theotokos; (2) Perpetual Virginity; (3) Immaculate Conception; (4) Co-Redemptrix, and the associated roles of Mediatrix and Advocate (albeit implicitly). Moreover, the argument can be made that her bodily Assumption, which was a logical consequence of her Immaculate Conception coupled with her role as the Co-Redemptrix, was additionally implicitly revealed, as was her role as Spouse of the Holy Spirit, Who would become the active principle in the formation of the God-man in her immaculate womb, enabling the Church to identify and understand this spousal relationship that Mary has with the Holy Spirit of God, the Sanctifier, Who has freely chosen to become dependent upon her free-will mediation in the distribution of every grace that is granted to humanity through Him. In short, the united salvific mission of Jesus, the “New Adam,” and Mary, the “New Eve,” was, technically, a private revelation to Mary that would eventually become among the most important aspects of the Public Revelation which comprises the Sacred Deposit of faith, and this holds true for each of the remaining joyful mysteries, as we shall see. In the Second Joyful Mystery – the Visitation – the Evangelist Luke explains that Mary’s cousin Elizabeth “was filled with the Holy Spirit. She gave a loud cry and said, ‘Of all women you are the most blessed, and blessed is the fruit of your womb! And why is this granted me, that the mother of my Lord should come to me? For behold, when the voice of your greeting came to my ears, the babe in my womb leaped for joy’” (Lk 1:41-44). Further, Elizabeth, still under the inspiration of the Holy Spirit, praises Mary for assenting or giving her unconditional “fiat” to God as she states, “‘Yes, blessed is she who believed that the promise made her by the Lord would be fulfilled’” (Lk 1:45). Here, not unlike what transpired during Mary’s encounter with the Archangel Gabriel, God’s messenger, God the Holy Spirit is privately revealing to Elizabeth the exalted vocations and missions of the unborn Christ-child and His Mother, Mary – a ‘private revelation’ that would eventually become an integral part of Public Revelation as recorded in Sacred Scripture. Further, the Christ-child, while still in the womb of Mary, performs His first miracle of grace by sanctifying John in Elizabeth’s womb, in accordance with the prophetic utterance of Gabriel, who stated to Zechariah that his son John would “‘be filled with the Holy Spirit, even from his mother’s womb’” (Lk 1:15). Moreover, Mary’s response to her cousins prophetic praises and utterances further reveals Mary’s understanding of her own exalted vocation, as she prophetically states, “‘Yes, from this day forward all generations will call me blessed, for the Almighty has done great things for me’” (Lk 1:48-49). Thus, in the mystery of the Nativity, Joseph is the first individual to have a private revelation in the form of a dream – a visitation from an angelic being who assures Joseph that Mary had not been unfaithful, but rather had conceived “by the power of the Holy Spirit,” and that the child she was carrying would become the savior of humanity and, moreover, would be the very presence of God dwelling amongst His Chosen People, the Israelites. Further, like Mary before him, Joseph is told that he is to name the child “Jesus,” which, when translated, means “Yahweh (or God) saves,” thereby referring to His divine and salvific mission. As an aside, the title, “Christ,” which usually follows the first name of the Son of Mary and Joseph, literally means “the anointed one,” a term used to refer to the long-awaited Hebrew Messiah. Thus, the angel, in telling Joseph that (1) the child to be born of Mary would “become the savior of humanity;” (2) the child’s name should be “Jesus” on account of His distinctively salvific mission; and (3) that ‘they will call him Immanuel’—which means, ‘God with us,’ provides Joseph with a penetrating insight into the nature, identity and mission of this great child Who would be entrusted to his paternal care. Thus, in coming to understand the nature, identity and mission of the Christ-child and this “Woman” to whose maternal solicitude this great savior would be entrusted, Joseph begins to catch a glimpse of his own profoundly unique and irreplaceable role in God’s plan. Yet, it is not only to Joseph that the identity, mission and nature of Jesus and Mary would be revealed on that cold night, in a cave in Bethlehem (which, when translated, means “house of bread;” for, Christ is “the living bread which came down from heaven” [Jn 6:51]). Additionally, the true identities of Jesus and Mary are made known to two types of individuals: (1) the truly simple and humble of heart, represented here by the shepherds; and (2) those who possess true wisdom of heart, represented here by the Three Wise Men, Gentiles of the East, who additionally signify that Christ’s salvific mission as Savior and Emmanuel is, indeed, an epiphany for all humanity: “A light to the revelation of the Gentiles, and the glory of [God’s] people Israel” (Lk 2:32). In the Fourth Joyful Mystery, the Presentation of the Child Jesus in the Temple, Mary and Joseph travel to Jerusalem to offer their first-born male child, Jesus, to the Lord, in accord with Mosaic Law. It is interesting to point out that it is precisely on this occasion of the presentation and consecration of the Christ-child to His Heavenly Father that the prophetic Mosaic prescription that the first-born male child should be set apart and consecrated to the Lord is brought to fulfillment, for Christ is not only the firstborn of Mary, but is “the firstborn of all Creation” (Col 1:15). We read the following in the second chapter of St. Luke: “And behold there was a man in Jerusalem named Simeon, and this man was just and devout, waiting for the consolation of Israel; and the Holy Ghost was in him. And he had received an answer from the Holy Ghost, that he should not see death, before he had seen the Christ of the Lord. And he came by the Spirit into the temple. And when his parents brought in the child Jesus, to do for him according to the custom of the law, He also took him into his arms, and blessed God, and said: Now thou dost dismiss thy servant, O Lord, according to thy word in peace; Because my eyes have seen thy salvation,Which thou hast prepared before the face of all peoples: A light to the revelation of the Gentiles, and the glory of thy people Israel. And his father and mother were wondering at those things which were spoken concerning him. And Simeon blessed them, and said to Mary his mother: Behold this child is set for the fall, and for the resurrection of many in Israel, and for a sign which shall be contradicted; And thy own soul a sword shall pierce, that, out of many hearts, thoughts may be revealed” (Lk 2:25-35). Thus, the aged Simeon, a priest of the temple, and therefore an official representative of the Israelites, proclaims, for the first time in public, the exalted identities and missions of Jesus, “A light to the revelation of the Gentiles, and the glory of [God’s] people Israel,” and Mary, the Co-redemptrix, whose “own soul a sword shall pierce,” as she would compassionately co-endure the agony of her divine progeny. The piercing of the Sacred Heart of Jesus is simultaneously and necessarily the piercing of the Immaculate and Sorrowful Heart of Mary, as Mary’s Most Immaculate Heart is most perfectly united to the Divine Heart of her Son. Thus, it is not theologically incorrect to state that the divine life of grace and mercy, which are transmitted to us through the Holy Sacraments of Christ’s Church, gushed forth from the wounds of the Two Conjoined and Co-pierced Hearts of Jesus and Mary. It is precisely for this reason that Christ designates His Holy Mother Mary as Spiritual Mother of all of humanity, as represented and symbolized in Christ’s entrustment of Mary to John, and John to Mary. Moreover, John, amongst all of Christ’s disciples, is “the beloved” of Christ’s Heart. Thus, it logically follows that those souls, who, like John, “[take] her into [the] home” of their souls, through devotion to her, are especially beloved disciples of Christ (Jn 19:27). Moreover, Simeon reveals that Christ would be the “sign rejected” by His own People, alluding to what had been prophesied by Isaiah concerning God’s Suffering Servant: “Despised, and the most abject of men, a man of sorrows, and acquainted with infirmity: and his look was as it were hidden and despised, whereupon we esteemed him not. Surely he hath borne our infirmities and carried our sorrows: and we have thought him as it were a leper, and as one struck by God and afflicted. But he was wounded for our iniquities, he was bruised for our sins: the chastisement of our peace was upon him, and by his bruises we are healed. All we like sheep have gone astray, every one hath turned aside into his own way: and the Lord hath laid on him the iniquity of us all. He was offered because it was his own will, and he opened not his mouth: he shall be led as a sheep to the slaughter, and shall be dumb as a lamb before his shearer, and he shall not open his mouth. He was taken away from distress, and from judgment: who shall declare his generation? because he is cut off out of the land of the living: for the wickedness of my people have I struck him; And he shall give the ungodly for his burial, and the rich for his death: because he hath done no iniquity, neither was there deceit in his mouth. And the Lord was pleased to bruise him in infirmity: if he shall lay down his life for sin, he shall see a long-lived seed, and the will of the Lord shall be prosperous in his hand. Because his soul hath laboured, he shall see and be filled: by his knowledge shall this my just servant justify many, and he shall bear their iniquities.Therefore will I distribute to him very many, and he shall divide the spoils of the strong, because he hath delivered his soul unto death, and was reputed with the wicked: and he hath borne the sins of many, and hath prayed for the transgressors” (Isaiah 53:3-15). Finally, in the final Joyful Mystery, “The Finding in the Temple,” the single most important private revelation, that would certainly become the “cornerstone” of Public Revelation, transpired in the soul of a twelve-year-old boy, Who was given to understand His exalted mission as the Passover Lamb of Sacrifice, coupled with His wholly unique relationship with His Heavenly Father. As the Eternal Word of God, the Second Person of the Holy Trinity, He was quite aware that “all things [had] been created through him, and for him” (Col 1:16); thus, unlike other children of his age, He did not have to subject Himself to the parental authority of Mary and Joseph. The only Authority Christ had to answer to was His Heavenly Father, Whose Will He had come to accomplish. It is the theological opinion of this author that Christ Jesus, as a true human person Who emptied Himself of His divinity, subjected Himself to the typical processes of human maturation, and that it was precisely during this extra time spent in the temple in Jerusalem, conversing with the learned doctors of theology shortly after the celebration of the Passover, that Jesus, the man, became fully aware that He was the Passover Lamb of Sacrifice, the Savior sent by the Father, Emmanuel, the long-awaited Messiah. Thus, when His Mother Mary, after searching for Him and finding Him in the temple after a period of three days (pre-figuring the Resurrection, when Christ would be found alive, after three days, in the temple of His Glorified Body), posed the question, “‘My child, why have you done this to us? See how worried your father and I have been, looking for you?’” (Lk 2:48), Jesus, the Christ, answered as though He was surprised that she was surprised regarding His self-awareness as the Eternally Begotten Son of God. For, she was the Queen Mother of the Eternal Word, the “Woman” of Sacred Scripture, chosen from all eternity by the Holy Trinity, who would be uniquely associated with each Divine Person of the same Triune God. Jesus’ response to the “Woman,” “‘Why were you looking for me?…Did you not know that I must be busy with my Father’s affairs?’” underscored His own complete awareness of the reality of His absolute sovereignty. Thus, in this final, climactic mystery, the identity,vocation and mission of Jesus as the Christ, the Passover Lamb of God, whose bloody crucifixion would atone for the sins of humanity, was fully revealed to Him in His humanity, having had to endure a normal, natural, and entirely “human” process of intellectual and cognitive maturation. Yet, despite this knowledge and self-awareness, “He went down with them and came to Nazareth and lived under [the] authority [of Mary and Joseph],” (Lk 2:51) in profound humility, and, continuing the natural processes of human growth and maturation, He “increased in wisdom, in stature and in favor with God and men” (Lk 2:52).